Today, I’ll be sharing a new to me brand from Brazil for the stockist, Psyche’s Beau. 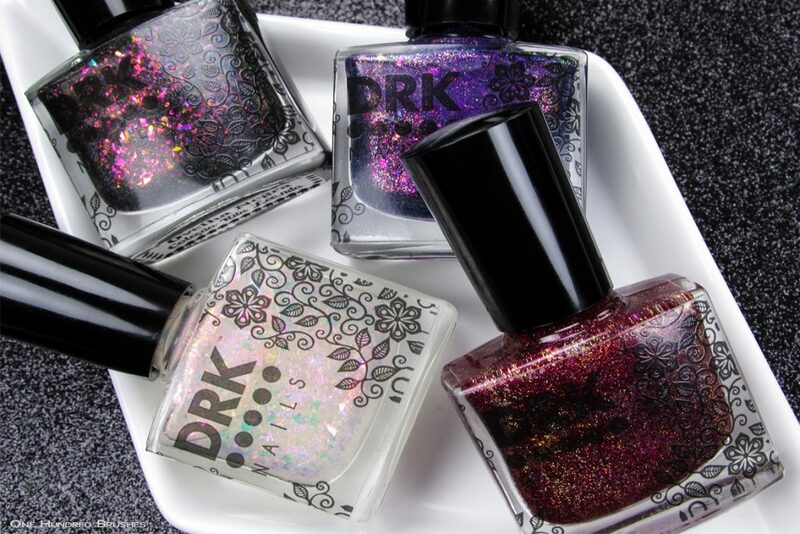 DRK Nails has been around for quite some time and my first encounter with them has left me in good spirits. 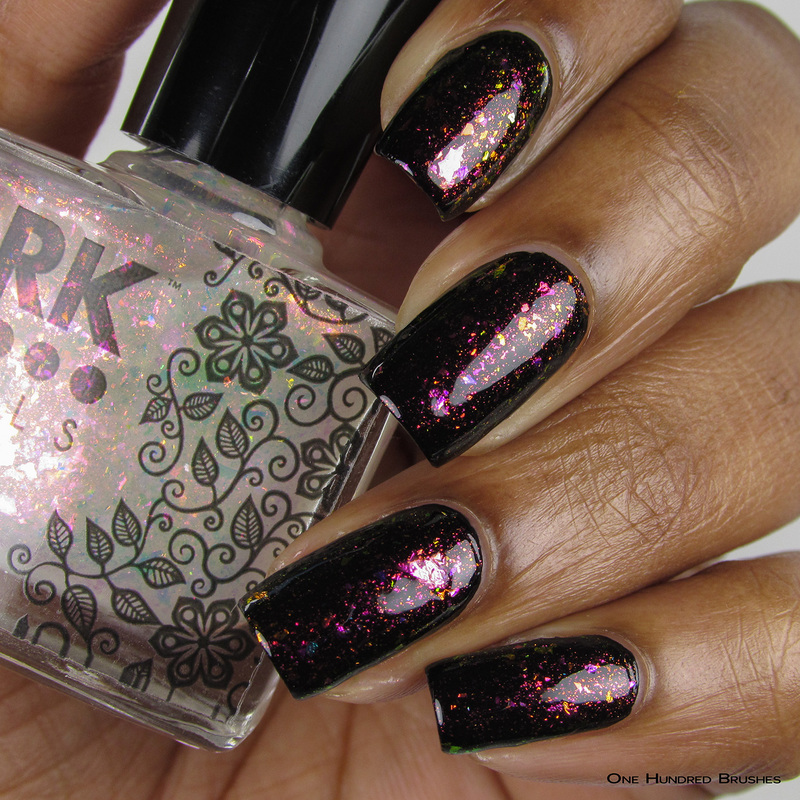 I have four shades, including a fun flake topper from a 12 piece collection. Just so you know, their labeling comes in Portuguese but my Brazilian sister in law came to the rescue with English translations. Here we go! 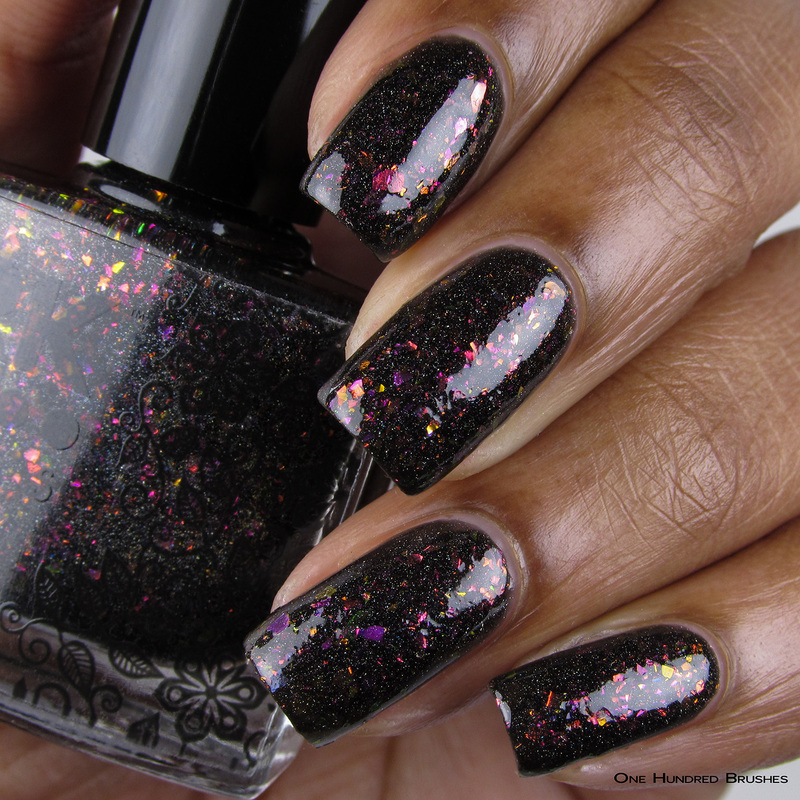 Não Provoque/Do Not Provoke feature pink iridescent flakes in a clear base. 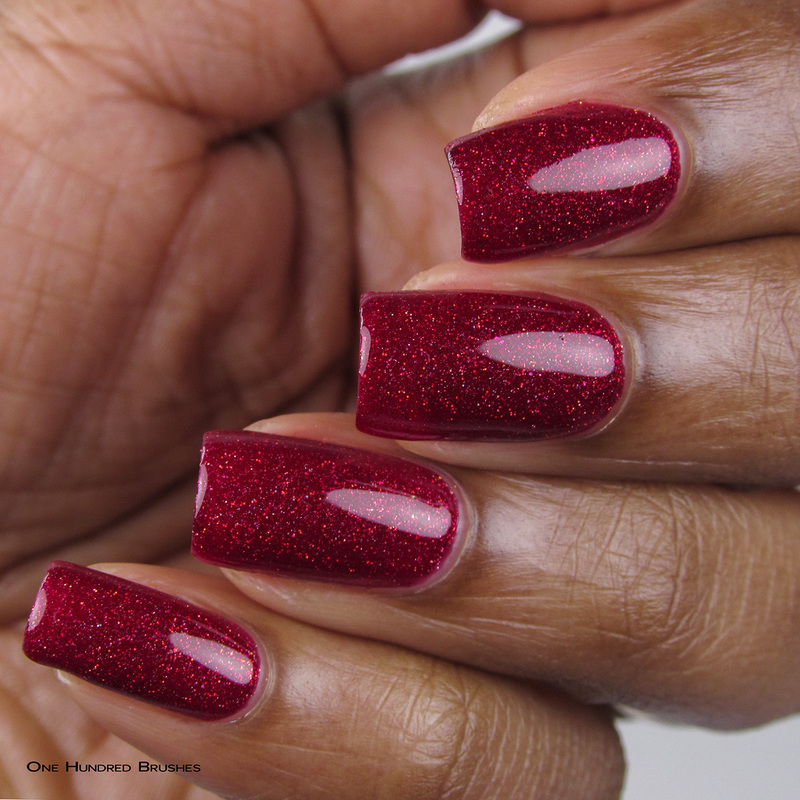 I’m wearing this as a topper over black, using one coat, then one glossy top coat. 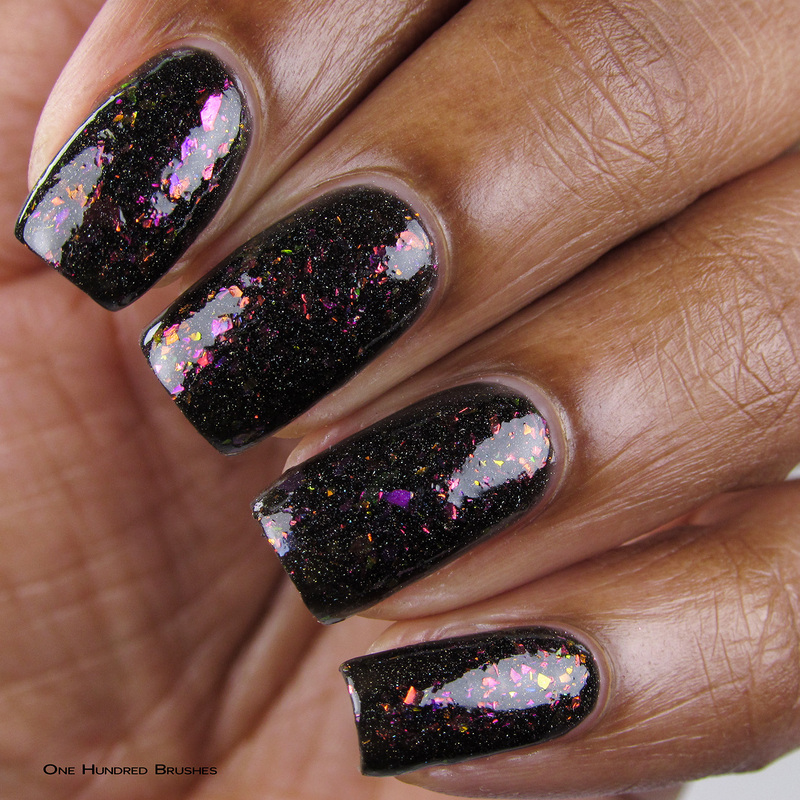 The flakes are very easy to manage and lay nicely on the nail. 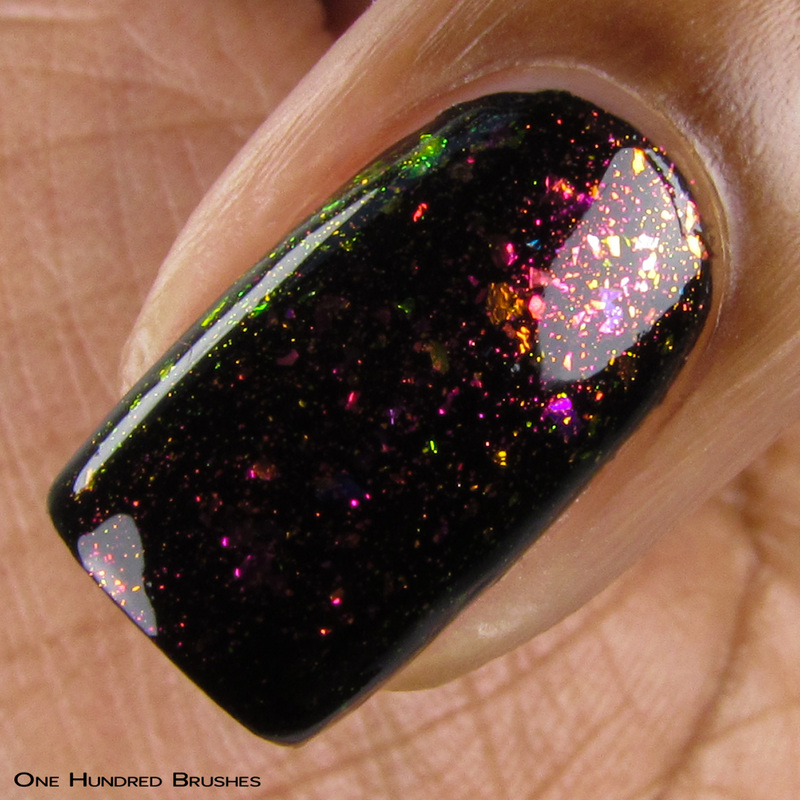 As toppers go, this one is a great, quick way to give dimension and an alternative shade to a polish. 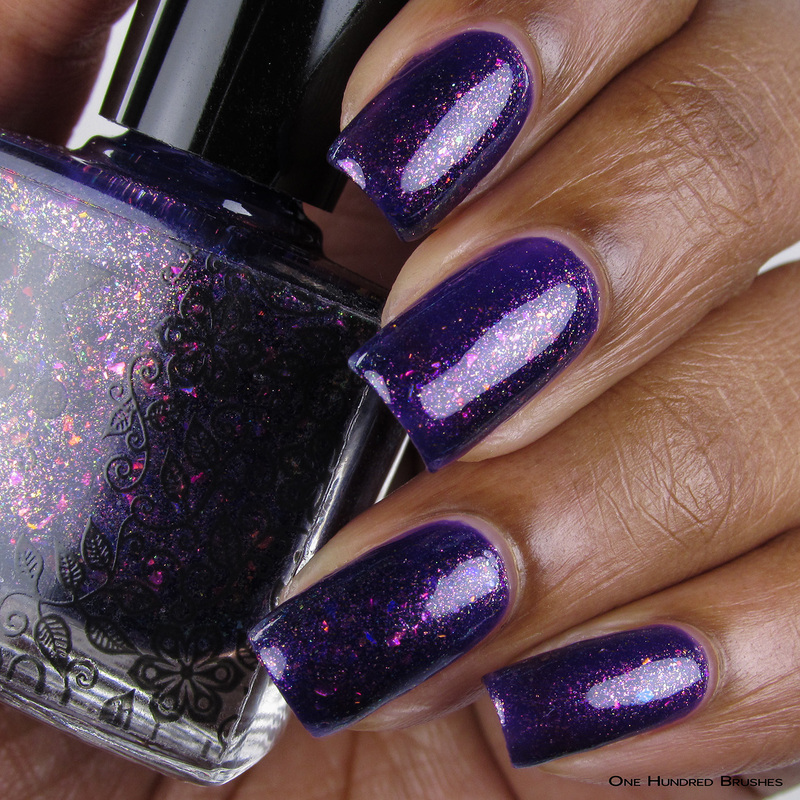 Um Caso Sério/A Serious Case is a royal purple jelly base filled with iridescent flakes of a variety of colors. 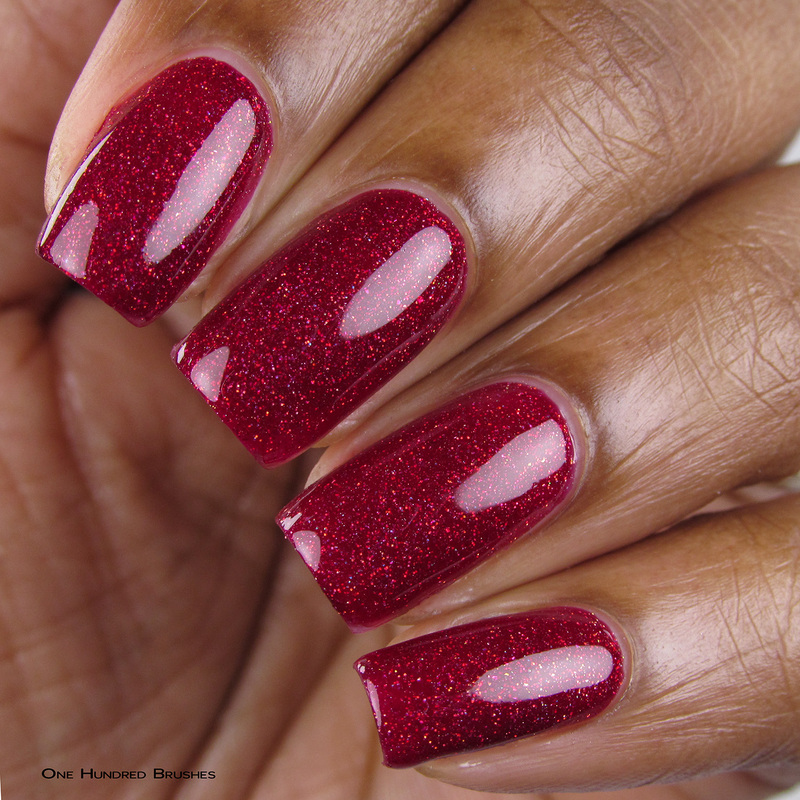 Similar to the application of the topper, the flakes are well behaved and reflect light beautifully in the jelly base. I’m wearing three coats with a glossy topcoat. Doce Vampiro/Sweet Vampire is my favorite of the four! 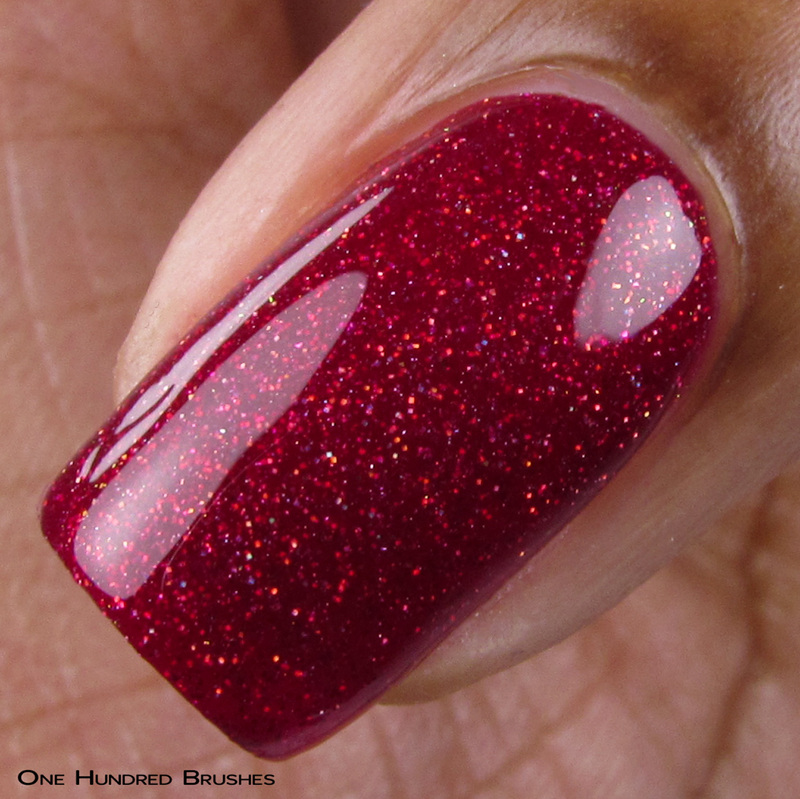 Telling from its name, this is a blood red jelly base with a mix of gold and holographic micro glitters mixed in. 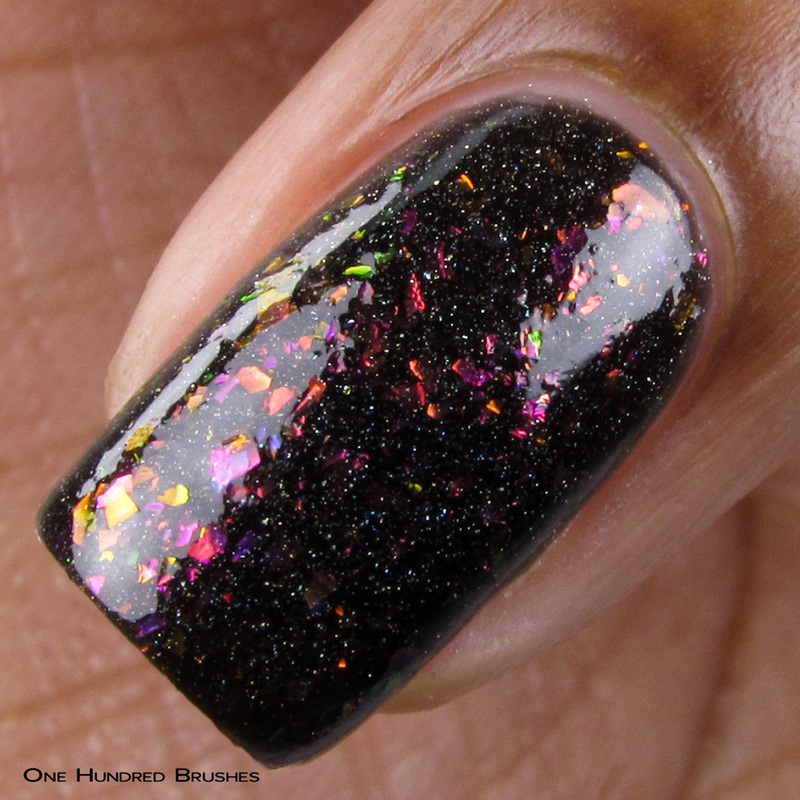 It dries to a slightly textured finish from the glitters, but this is easily smoothed out with topcoat. 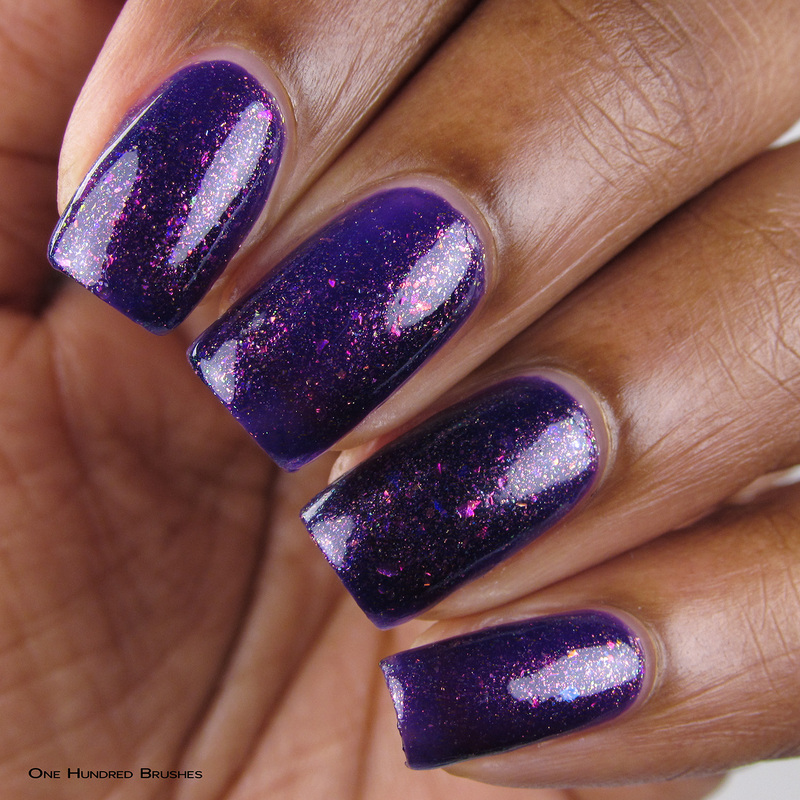 I used two coats with one coat of glossy top coat. 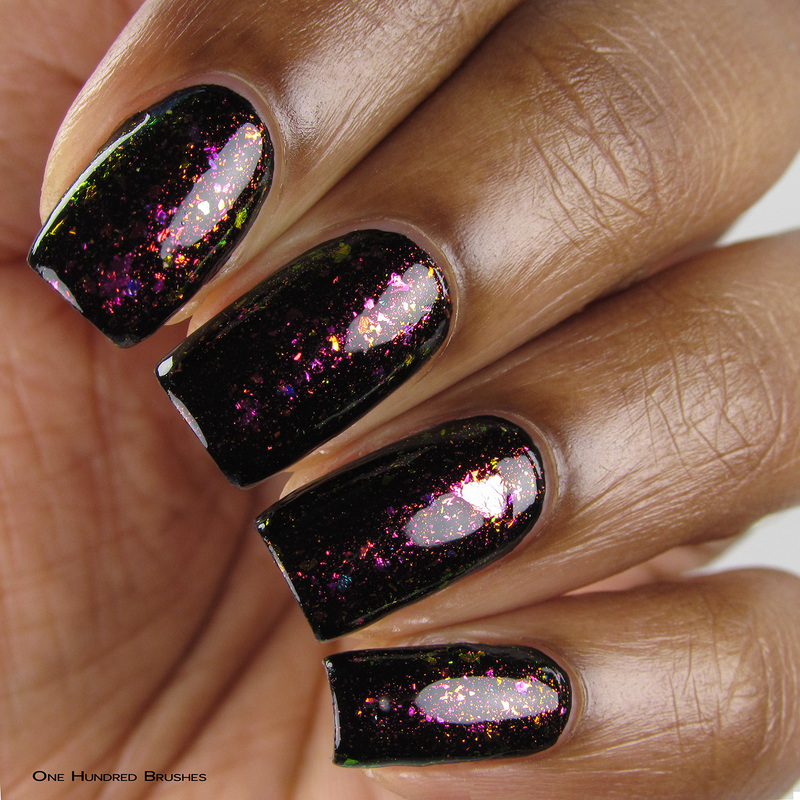 Ovelha Negra/Dark Sheep features similar flakes to Um Caso Sério/A Serious Case but in this case, they’re in a black jelly base with holographic sparkles. This gives the flakes a different look than when they’re reflected through purple. I’m wearing three coats with a glossy topcoat. This wraps up my review of the partial Colecão Rita Lee NDA/Rita Lee Collection. 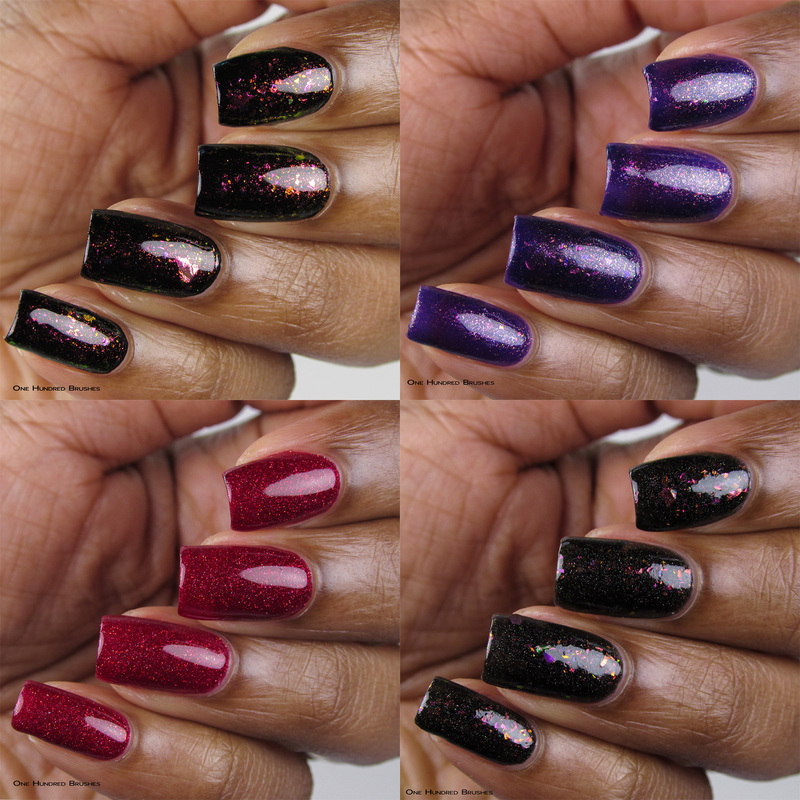 If you enjoy jelly polishes, these are a fantastic set to have, with a great application! 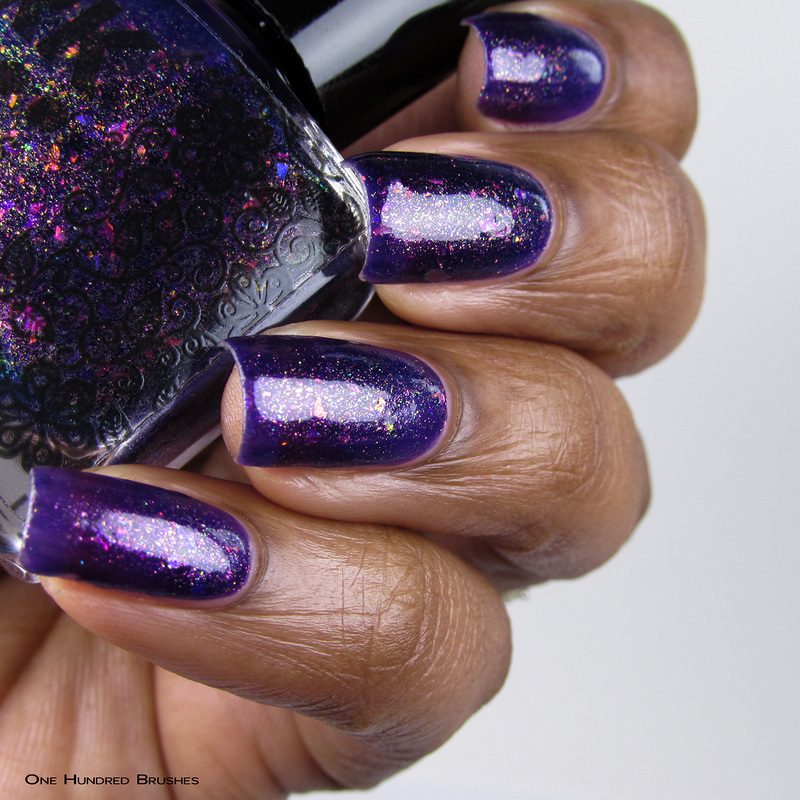 The Colecão Rita Lee NDA by DRK Nails is available now from Psyche’s Beau! 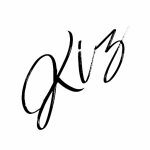 Tell me, have you used this brand before? These are so fun. I have a couple from this brand, the bottles are so wee! I’ve been wanting to try them for a while now. 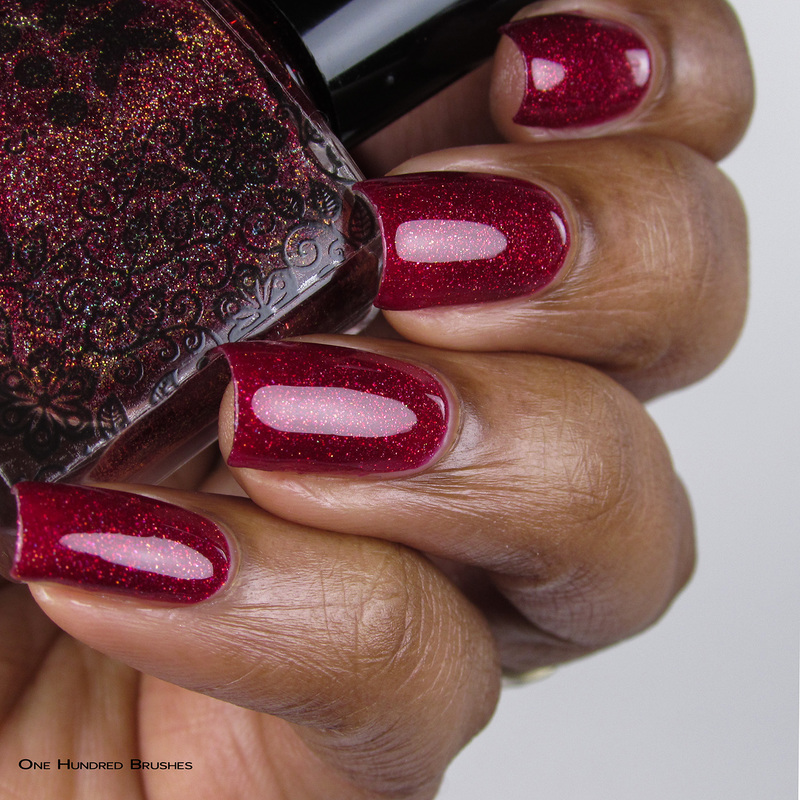 Gorgeous polishes and your swatches are pristine! Estes são incríveis, eu amo todos eles!